The Canadian and American Associations of Orthodontists recommend that a child’s first visit to an orthodontist take place at age seven. We strongly recommend that your child is seen for an examination by this age, as much more severe problems can occur if not addressed during your child’s pre-adolescent development. 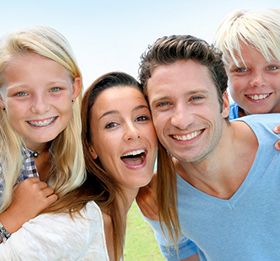 For adults: there is no age limit for orthodontics. Teeth and tissue are essentially the same in both adults and children except that growth has mostly stopped. Orthodontists can successfully realign crooked teeth or a protruding overbite regardless of your age. Many of the most satisfied patients are adults who have lived several decades with misaligned teeth and following orthodontics can now experience the benefits of an attractive smile.